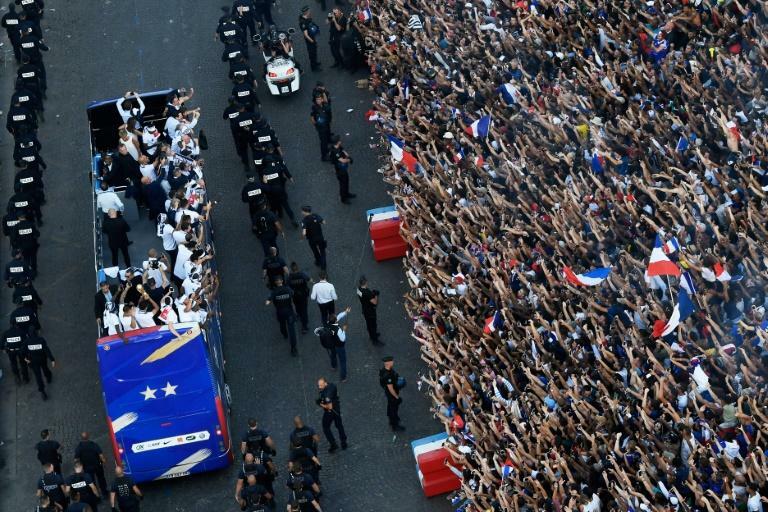 The footballers did not disappoint, passing the golden World Cup trophy from player to player as they jumped and danced on an open-air bus with "World Champions" emblazoned on its side. "Wow, it was completely crazy! They are too beautiful, France is beautiful!" said Julia Cohen, 28, after seeing players pass by on the Champs-Elysees, the gathering point for all national celebrations. Above the partying crowds, nine jets from the Patrouille de France, the air force's acrobatic unit, did an honorary flyover trailing blue, white and red smoke. Macron has already promised the Legion of Honour for the victors' "exceptional services" to the country, an award given to the legendary team that won France's first World Cup title in 1998. "Thanks to you all!" Macron told the team after gathering again outside. "This team is beautiful because you are united!" Midfielder Paul Pogba, despite his voice nearly failing him, then proved himself a showman off the pitch as well as on by leading the guests in an impromptu celebratory rap punctuated by "Allez les Bleus!" "It's true, we went on the pitch, and we said, We're going to crush them all!" he said. 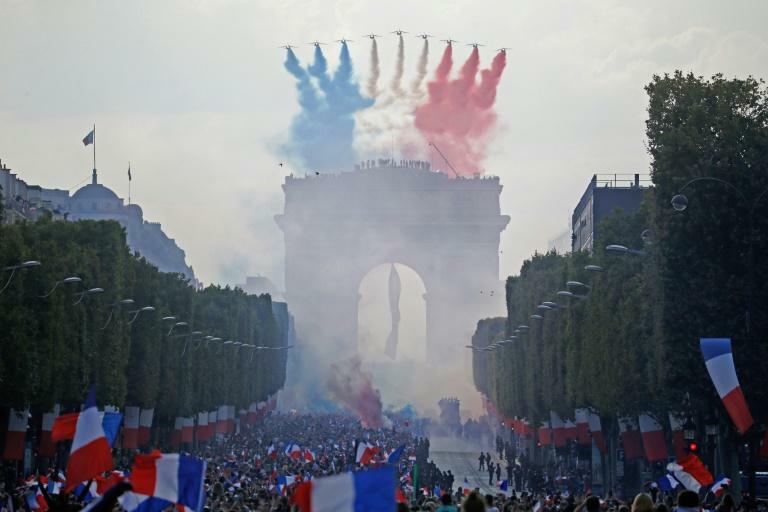 "We are proud to make the French happy," he told French channel TF1. Striker Antoine Griezmann said: "Frankly, personally, it's not real yet. This cup weighs a lot." "We are trying to give a good image for France, for French players. I hope that lots of young people will have seen this match and do the same," he added. Now, "the players are on holiday," Philippe Tournon, head of press for the team, told AFP. 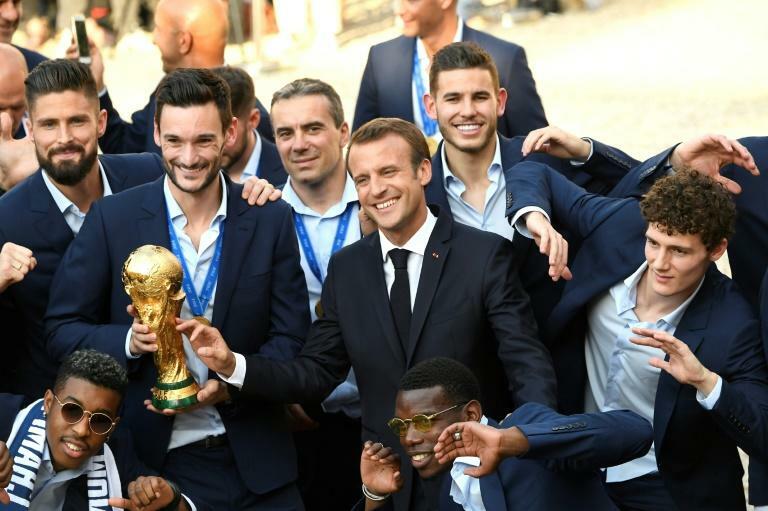 Macron had already celebrated with the team on Sunday -- even doing "dab" dance moves with players in a video that has gone viral -- after attending the final in Moscow.